By CNN'S ARIANE DE VOGUE AND DEVAN COLE CONTRIBUTED TO THIS REPORT. 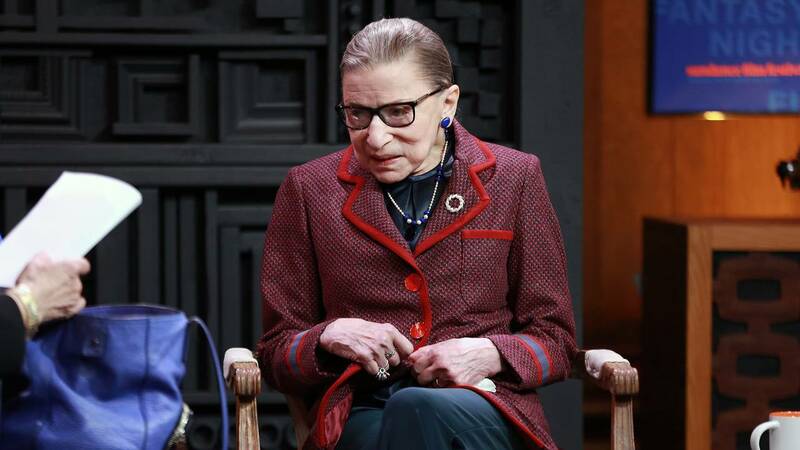 (CNN) - Supreme Court Justice Ruth Bader Ginsburg was released from the hospital Friday after fracturing three ribs when she fell in her office earlier this week. Court spokeswoman Kathleen Arberg said Ginsburg, 85, is "doing well and plans to work from home today." The Supreme Court's oldest justice, Ginsburg has previously survived two forms of cancer and a heart procedure to have a stent placed in her right coronary artery.